The highest point of the department is Croix-Scaille () with an altitude of 500–505 m (1,640–1,657 ft) high. ; it is found between the French commune of Hautes-Rivières and the Belgian commune of Gedinne. Ardennes is managed by the General Council of Ardennes in Charleville-Mézières. The department is part of the Grand Est region. There are 4 arrondissements (districts), 19 cantons and 457 communes (municipalities) in Ardennes. Ardennes had a population, in 2013, of 280,907, for a population density of 53.7 inhabitants/km2. 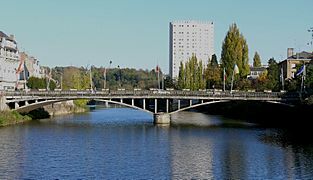 The arrondissement of Charleville-Mézières, with 161,902 inhabitants, is the arrondissement with more inhabitants. Rocroi in the snow: a common situation in winter in the northern Ardennes department. Forest of Argonne in October 1915 ravaged by shellfire. 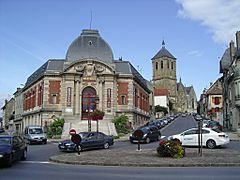 Place Ducale in Charleville-Mézières, prefecture of the Ardennes department. Map of the communes of the Ardennes department. 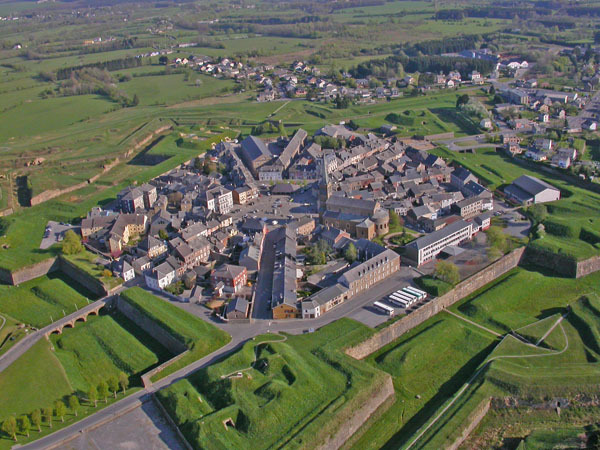 The small town of Rocroi was a sub-prefecture of Ardennes until 1926. The Hotel de Ville in Givet, a border town with Belgium. Arthur Rimbaud was a native of Charleville-Mézières. View of the Meuse valley in the north of the department at Givet. The Picturesque farm of Porcien in the south-west of the department. 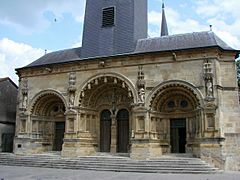 Rethel, a city watered by the Aisne, is the third largest city of Ardennes and also the third largest urban area. La Meuse at Sedan, sub-préfecture and second city of Ardennes. Ardennes (department) Facts for Kids. Kiddle Encyclopedia.